The historic city of Jackson, Mississippi, boasts Southern plantations, intricate architecture, and access to several quaint towns, including Natchez. Plan to spend your days exploring all of the interesting things to do in Natchez, MS. This community offers great restaurants, historical sites, outdoor activities, and annual events that will enhance your visit. Before you start planning your trip, download our free Vacation Guide! It’s full of recommendations for day trips from the Fairview Inn in Jackson. You’re going to love the endless adventure and Southern hospitality that this area offers! Natchez is a spectacular town with friendly people and the perfect laid-back atmosphere for those seeking relaxation! One thing is for sure, you won’t get bored. 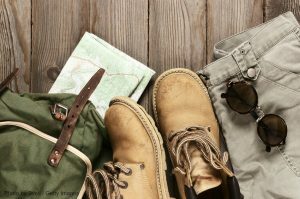 Here are some activity ideas for your day trip. Explore the three ceremonial mounds of Grand Village of the Natchez and discover its rich history. Back in the 17th century, this spot served as the political and religious capital for the Natchez Indians. You can experience their interesting culture through interactive exhibits and informative signs. Hop in your car, roll down the windows, and enjoy the natural beauty as you drive along the Natchez Trace Parkway. Cruising down this 444-mile stretch of highway is one of the most popular things to do in the area! The winding road spans from Natchez all the way Nashville, TN. After you explore the great outdoors in Natchez, drive across the Natchez-Vidalia Bridge for a quick trip to Louisiana. This incredible cantilever bridge connects the two states and provides a scenic ride over the Mississippi River. If you time it just right, you’ll experience a picturesque sunset from the tallest bridge in Mississippi! Touring the Longwood home is one the most iconic things to do in Natchez. This beautiful brick manor house is often regarded as the crown jewel of historic properties. You can tour the immaculate mansion seven days a week from 9 a.m. to 4:30 p.m. This stately, Colonial-style home is one of the most well-preserved landmarks in our historic town. Melrose was constructed around 1845 and provides an up-close look at the Antebellum South. Plan a tour any day of the week and get your tickets at The Natchez Visitor Center. The Rosalie Mansion, built in 1823, boasts the Greek Revival-style architecture that defines homes in the South. The mansion served as the Union Army headquarters during the Civil War. Book a tour to relive its interesting past as you walk around the stunning property. It’s no secret that the South has some of the best annual events. Every year, cultural celebrations draw thousands of visitors and locals alike to participate in the festivities. These delightful extravaganzas showcase everything from wonderful cuisine to joyous holidays! Here are our recommendations for the best local happenings and everything you need to know before attending. Each year, Native Americans in Natchez enjoy celebrating their heritage! The Natchez Powwow takes place every March and showcases cultural traditions of dance, song, art, jewelry, and much more. From the moment you arrive until the moment you leave, you’re sure to have a great time at this upbeat festival. In the spring and fall, Natchez presents two Pilgrimage extravaganzas that are some of the best events in town. These celebrations of 19th century culture feature costumed performers offering tours throughout the city. While walking around, you’ll see theatrical performances, concerts, and other activities that highlight the Antebellum South. Calling all musicians and music lovers! No matter which genre of music you enjoy, there is a live show for everyone to delight in during the Natchez Festival of Music. You don’t want to miss this amazing collection of musical showcases in May! When traveling to a new destination, there is no better way to experience the area’s culture than indulging in local cuisine. At the Natchez Food and Wine Festival, you’ll get a taste of Mississippi! This culinary event features some of the finest local chefs and tasty treats for you to try. 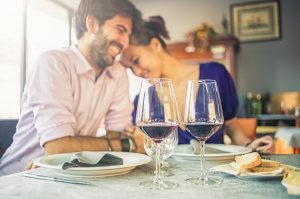 You can also pair your meal with a craft beer from a local brewery or a glass of vino from one of the area’s wineries. You don’t want to miss it! 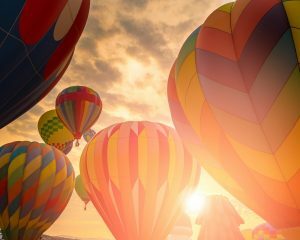 The Great Mississippi River Balloon Race is a colorful festival like no other. This spectacular competition is comprised of many artfully decorated balloons. In addition to the fascinating display, you can enjoy live music and other activities. Get into the holiday spirit with Christmas in Natchez, one of the best events in Natchez, MS. This tinsel-filled extravaganza includes wonderful activities, including the Christmas parade. You need to take a trip to enjoy these festivities! Another fine quality of the South is the many incredible restaurants found here. Natchez, in particular , has some excellent dining options. From classy cafes to seafood spots, this town has something for everyone. Indulge in a mouthwatering meal at one of our favorite restaurants below. Get ready for a surf n’ turf experience like no other! The Roux 61 menu features some of the best meat and seafood you’ve ever tasted, and these hearty dishes can satisfy even the hungriest appetite. This cafe is a great choice for a casual bite to eat. Cotton Alley Cafe features delicious specials as well as sweet treats. Choose from a variety of soups, salads, sandwiches, steaks, and desserts while you’re here. Loved by locals and visitors alike, Magnolia Grill sets the scene for a perfect night out in the South. The charming, rustic restaurant has a casual environment with a patio that overlooks the scenic Mississippi River. With a menu offering the freshest regional cuisine, you won’t want to skip this place! For a memorable dining experience with a laid-back vibe, Biscuit and Blues is the place to go. The funky decor and delicious food will make you feel at home right away. They also serve brunch! This unique spot specializes in handcrafted cocktails. In addition to their wide selection of beer, wine, and liquor, King’s Tavern also crafts mouthwatering dishes in an old-fashioned, wood-fired oven. Pig Out Inn Barbeque is a must for any smoked meat lover! Enjoy mouthwatering pork ribs, delicious brisket sandwiches, tender chicken, and other house specialties, all in a friendly atmosphere. Make sure you save some room for dessert; Pig Out serves homemade mini pies that are to die for! Just minutes away from Natchez is the city of Jackson, which offers so many opportunities for fun and entertainment. 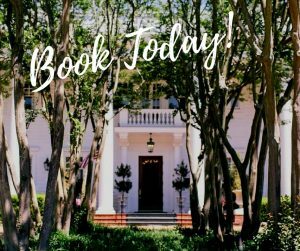 The Historic Fairview Inn is the perfect place to stay in Jackson; we offer deluxe rooms and suites and delectable dining, plus a private lounge, library, game room, and spa. Explore nearby attractions in Natchez and downtown Jackson, or simply revel in the comfort of our inn’s relaxing, peaceful environment. We look forward to having you!